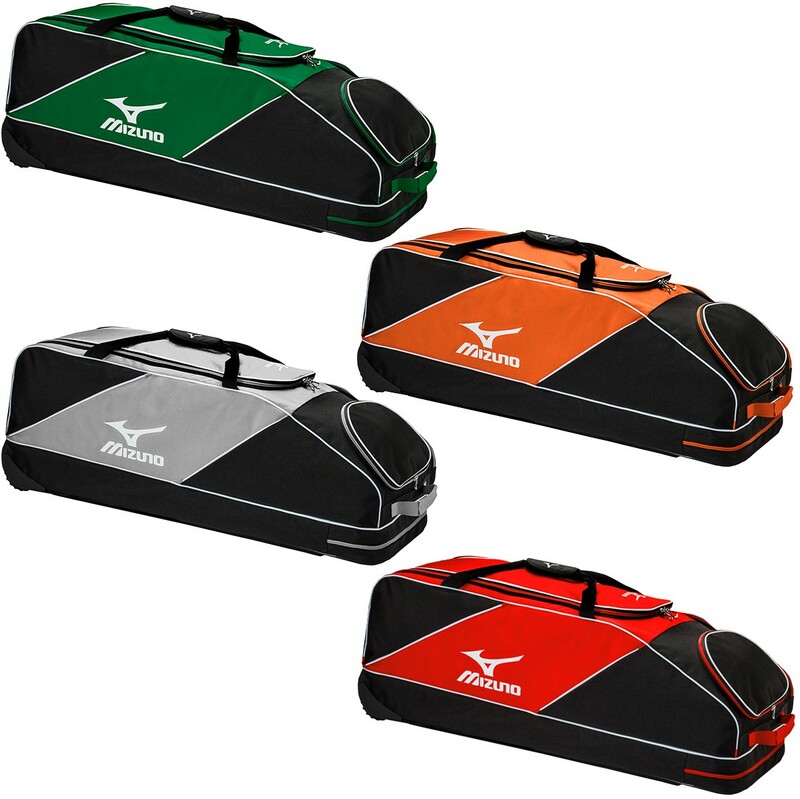 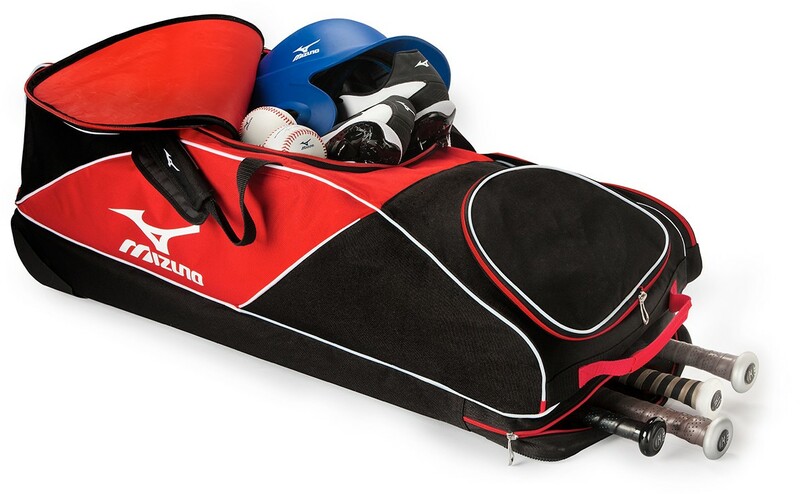 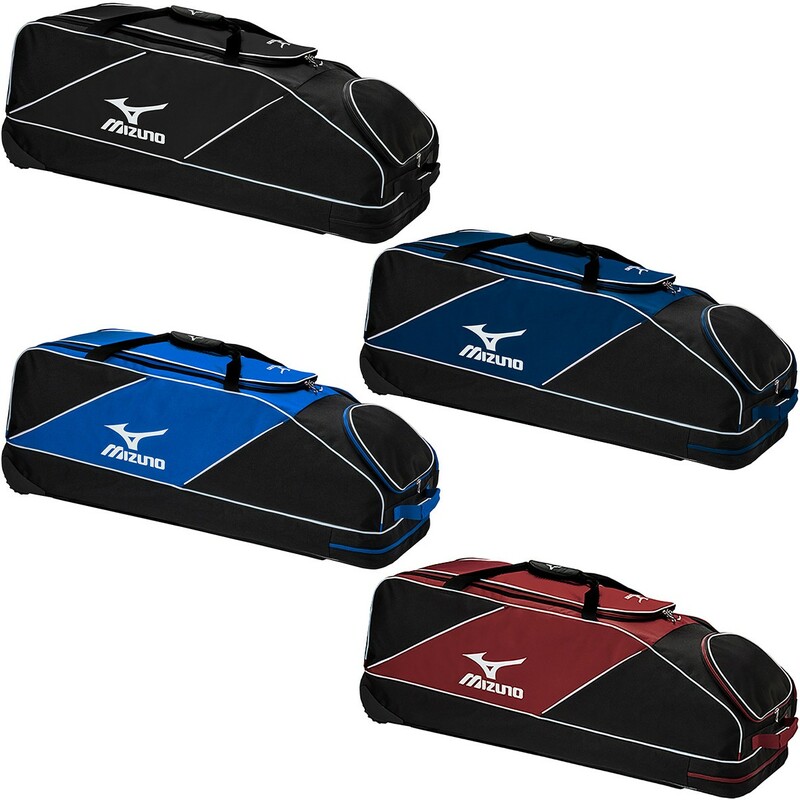 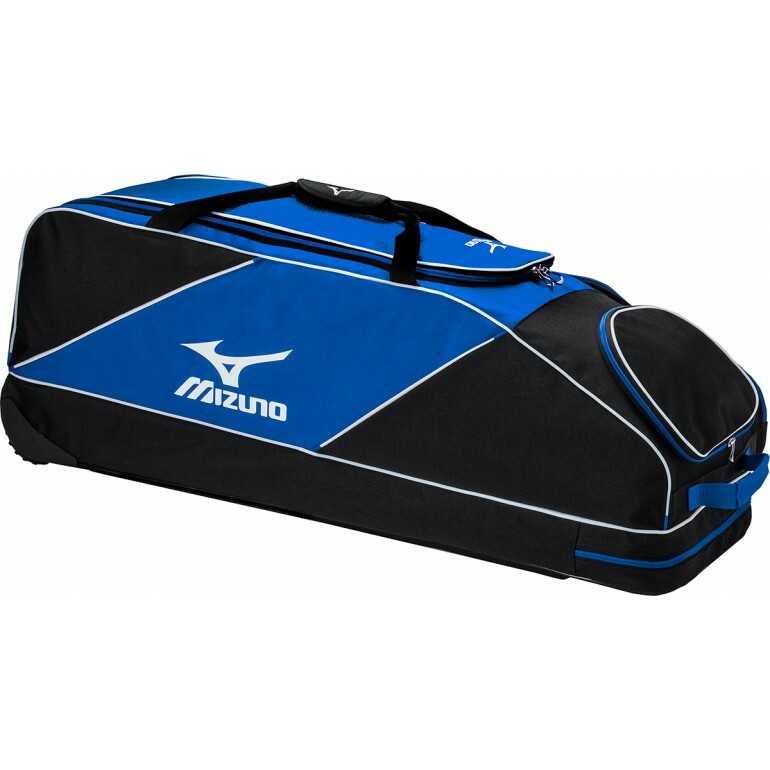 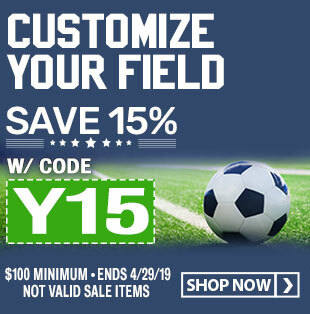 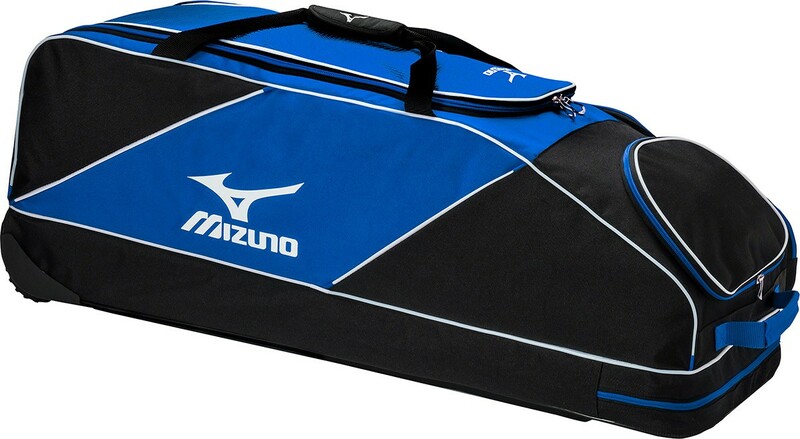 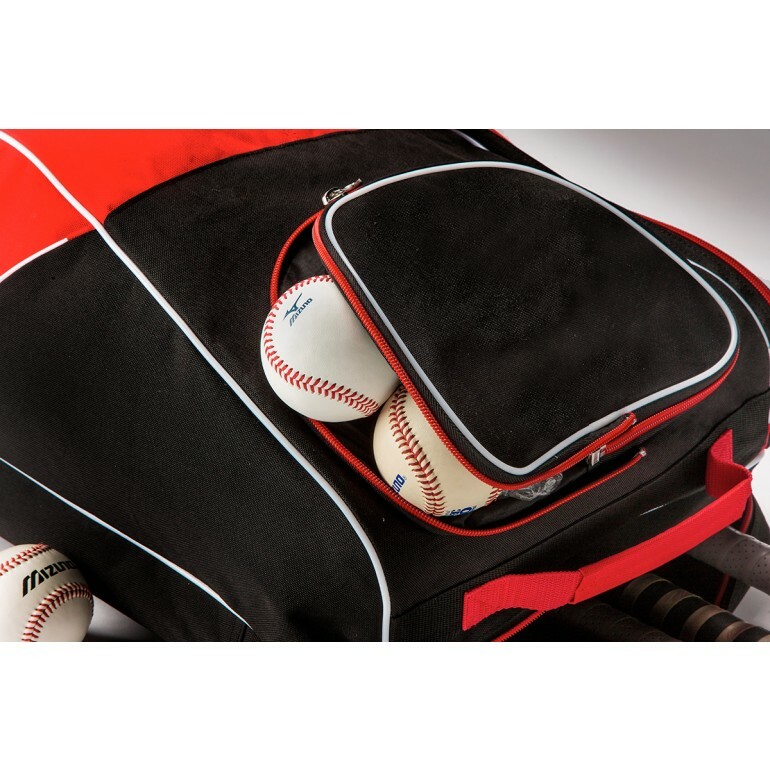 Mizuno Classic Wheel Bag, 36" x 13" x 13"
36" x 13" x 13"
The Mizuno Classic Wheel Bag is made of durable 1580D polyester material to help the bag last longer through the rigors of the season. 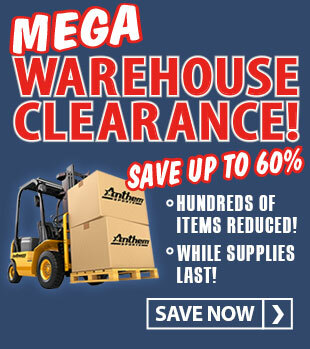 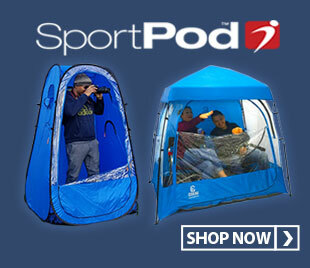 The rubber claw feet add another level of protection when the bag is dragged on the ground. 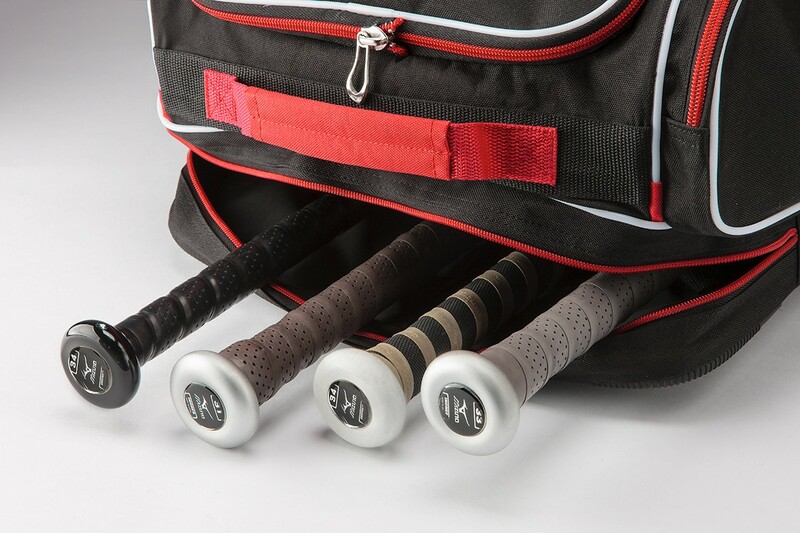 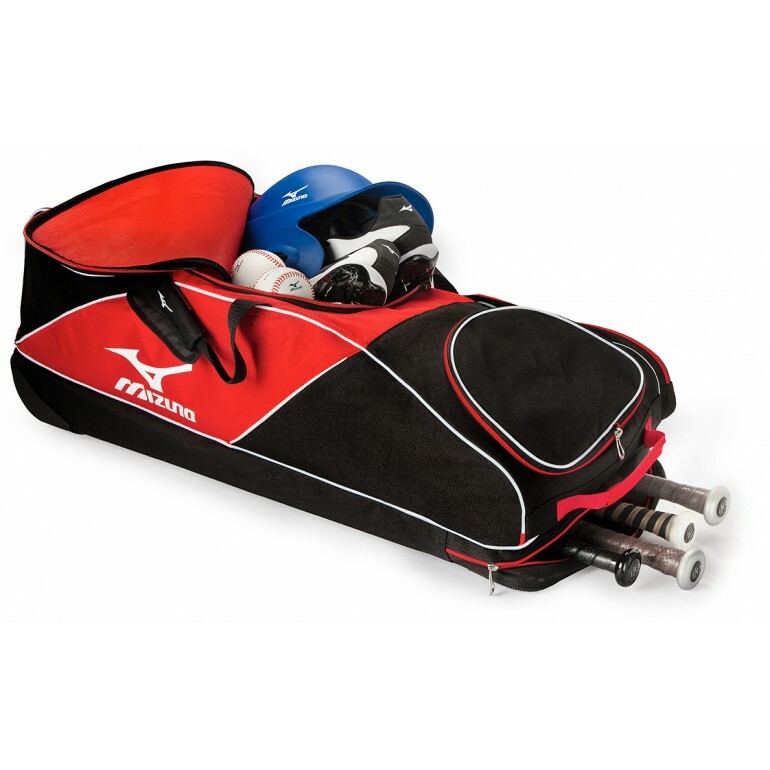 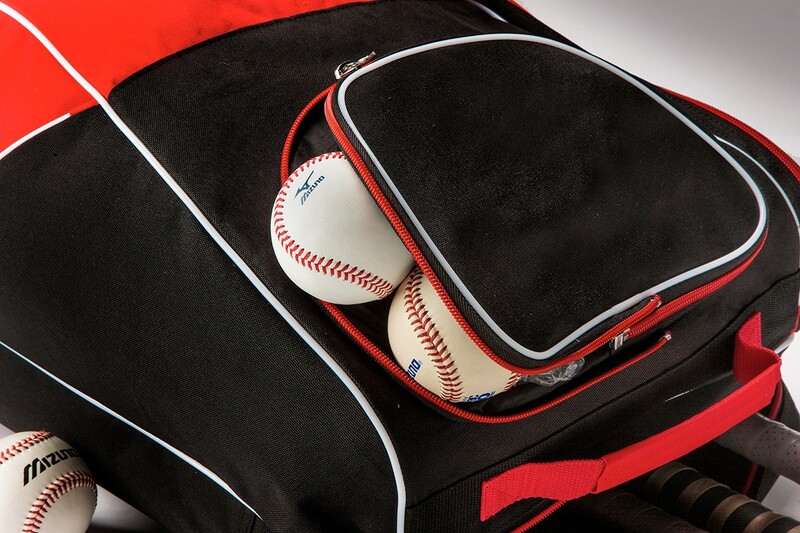 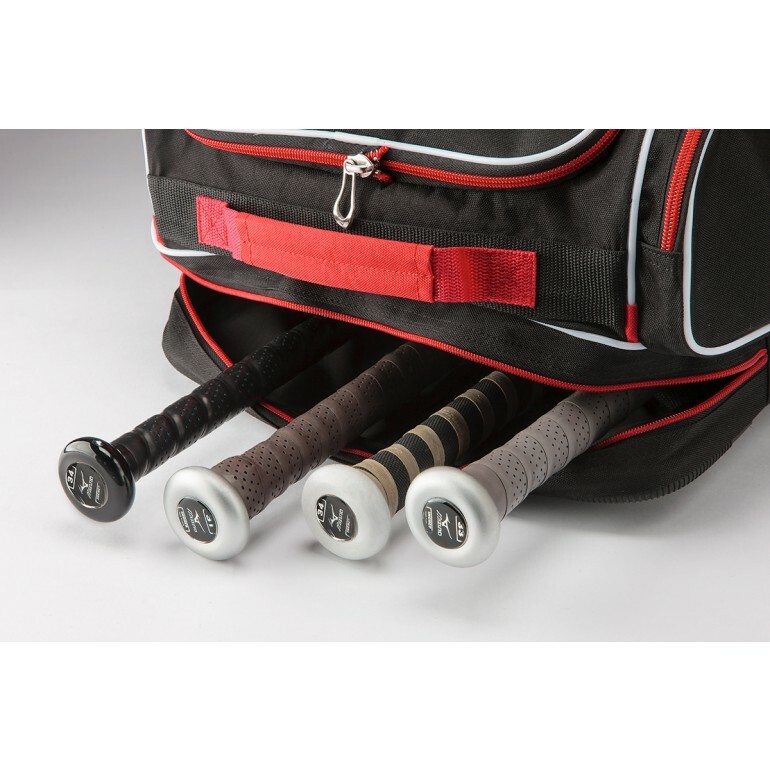 Four bat sleeves are located in the bottom of the bag and house your bats separate from your other gear. 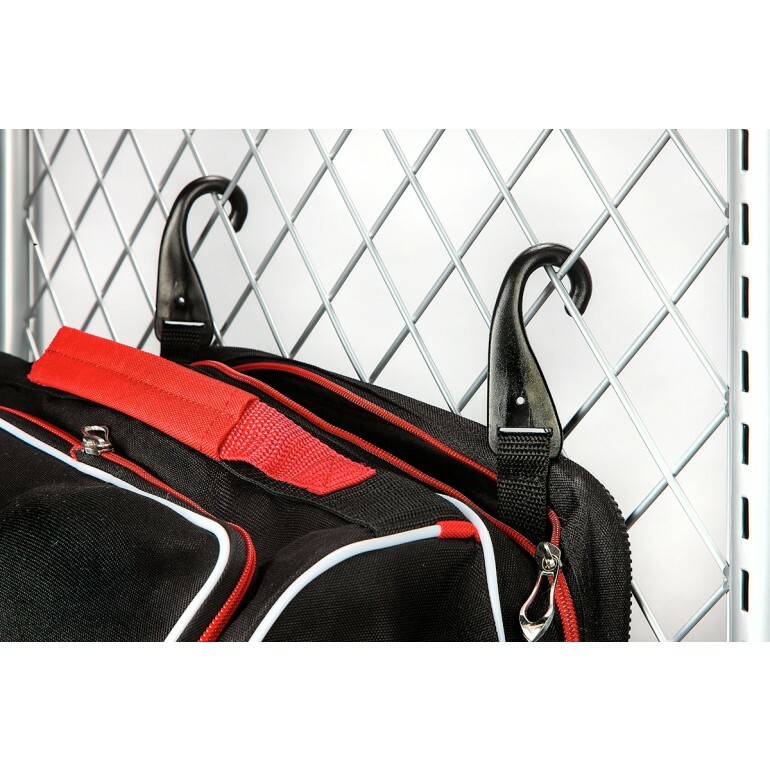 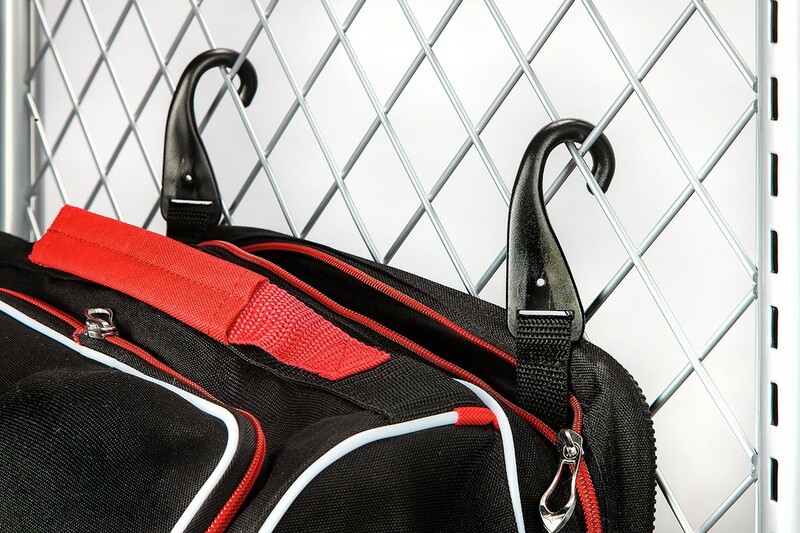 A double J Hook fence clip allows you to hang your bag on the fence during the game to keep it out of the dirt.